Click image to go to a larger version. 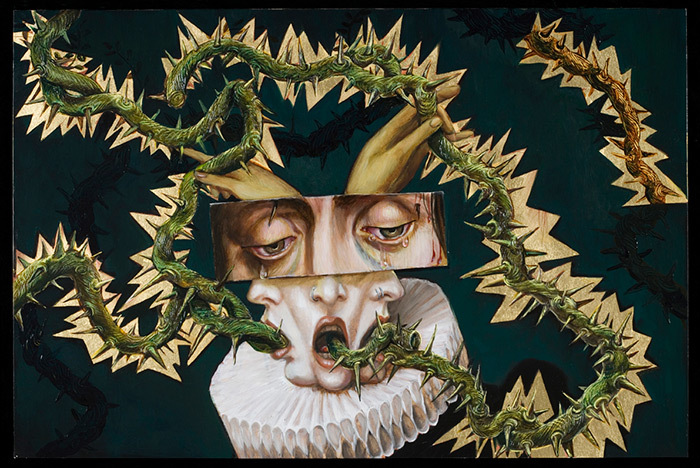 Carrie Ann Baade was nominated for the prestigious United States Artist Fellowship in 2007. Her work is featured in Metamorphosis 1, a survey of top contemporary Surrealists including Ernst Fuchs, Alex Grey, Laurie Lipton, Chet Zar, Kris Kuksi, and Brom. Carrie is currently an Assistant Professor of Painting and Drawing at Florida State University accompanied by her singing, polydactyl cat. Read more about her and view samples of her work at her website, and check out the recent interview at Hi-Fructose Magazine. Prints of some of her paintings are available from her Etsy shop.